Supposed internal slides from a Gigabyte event have turned up some intriguing news of 9th Gen Intel Core CPUs featuring a brand new suffix: ‘KF’. 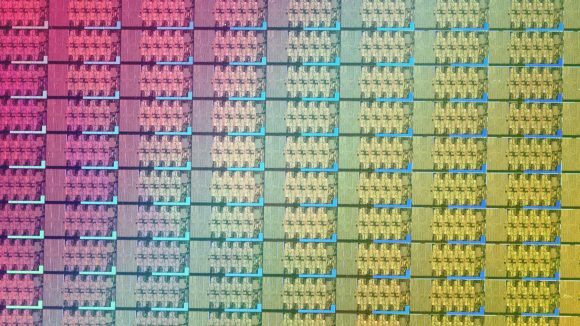 These chips are outlined in potentially leaked slides, and could be the first glimpse of high-end Intel CPUs intending to ditch the internal GPU found within most Intel Core processors today. The chips are denominated by either the ‘KF’ or ’F’ suffix. We know that ‘K’ stands for unlocked chips capable of a little under the hood tweaking, but the ‘F’ suffix could be a sign of something a little more interesting. 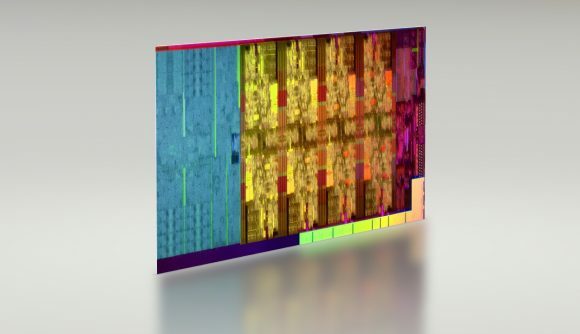 The leaked slides indicates the new chips – including the i9 9900KF, i7 9700KF, i5 9600KF, i3 9350KF, i5 9400F, and i3 8100F – will be designated ‘GT0’. This processor nomenclature usually describes the tier of integrated graphics within any given Intel processor. Skylake featured configurations from GT1 up to GT4e, topping out at a total of 72 execution units, while the Coffee Lake i7 8700K UHD Graphics 630 is included within the ‘GT2’ tier. This graphics silicon includes up to 24 execution units. GT0 has, in the past, been tipped to represent a processor that lacks any graphics core whatsoever. One of the first processors listed as Cannon Lake U were, once upon a time, listed within the Spectre and Meltdown vulnerability microcode database. It was in this database that the chip, in a 2 + 0 configuration – two cores and no integrated graphics – was classified as ‘GT0’. To our knowledge, the ‘F’ suffix hasn’t been used past generations of Intel processors, either. So, if the leaked slides from gamer.com.tw (via Techspot) are to be trusted – they’re debatable for sure – then we could be seeing Intel launching a lineup of mainstream Core chips without any integrated graphics. The copy ahead of the slide indicates something to the effect of Intel’s supply gradually returning to normal without large-scale supply of integrated graphics. It makes some sense, too. After all, us gamers don’t make the most of the integrated graphics beyond Quick Sync Video, and even that is often ignored. Intel, on the other hand, will likely be able to scrounge together plenty of chips that feature defective graphics cores that are otherwise in perfect working order. Waste not, want not. Whether these chips will feature a greater discount on pricing is unknown. Surely there has to be at least some worthwhile discount on cost considering you are getting a less capable chip that Intel may have otherwise shipped for far less, or even left to rot. The same leaked slides also indicated that AMD would be planning on releasing its next X570 chipset and Zen 2 CPUs with PCIe 4.0 support. Within the same slides, Intel is expected to launch a “Glacier Falls” HEDT platform sometime in Q3 2019. That would leave its only recently announced Basin Falls refresh, Skylake-X chips, with a fairly short shelf life before getting kicked to the curb. 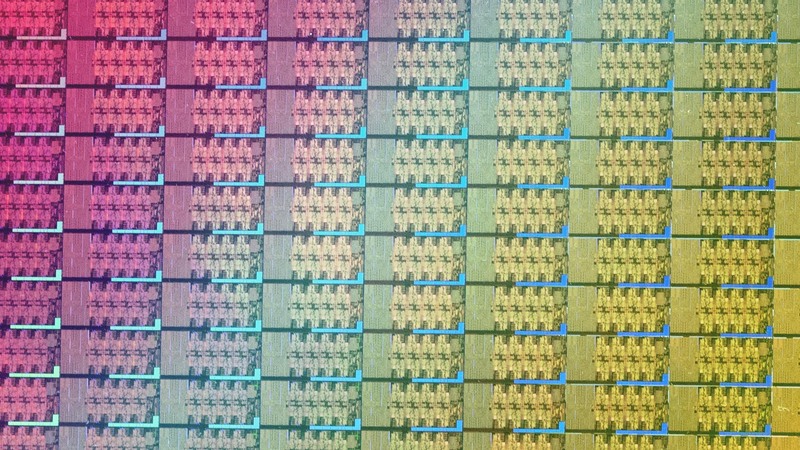 This would be surely one of the last Intel generations before Core and server chips start to arrive on 10nm going into 2020. Maybe that’s why Intel aims to get the next HEDT generation out a little earlier than usual.